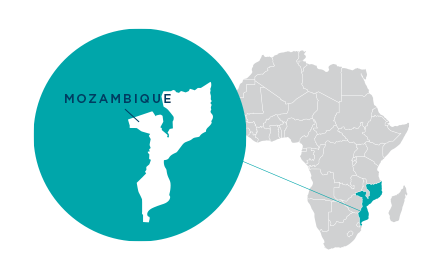 Following the successful first phase PROMAC project, the goal of this project is to contribute to the long-term sustainable increase of food security and farmer incomes in Mozambique through the adoption of conservation agriculture practices. When adopted by farmers, conservation agriculture increases yields, reduces agricultural losses and mitigates the negative impact of climate change – all building the economic and environment resilience of farmers. PROMAC II’s methodology is based on a “learning-by-doing” approach, utilizing a Lead Farmer Extension System. The Lead Farmer Extension System has proven itself to be by far the most cost effective means of delivering quality training services to clients on a large scale. In addition, PROMAC II works to facilitate the commercialization process by linking farmers to buyers. The project will train 400 community business agents to link farmers to quality inputs and provide market links for produce. Bringing stakeholders working on development of the agricultural sector—including Mozambique’s Ministry of Agriculture and Food Security—together with non-profit partners in late March 2017, NCBA CLUSA, along with the Austrian Cooperation and the FAO, hosted a National Seminar on Conservation Agriculture in Mozambique to highlight the results of this farming technique. The aim of the event was to bring PROMAC experiences with conservation agriculture to the forefront as a valid alternative to adapting to climate change and increasing smallholder farmer resilience and productivity. While government policies promote CA, they need support on getting the techniques to the fields. Sharing experiences, data and ideas on how to expand CA promotion and adoption, PROMAC and other partners shared practical tips for getting CA beyond policy and making it a real priority for the Mozambican Government and other stakeholders, as a strategy to mitigate climate change and protect natural resources. 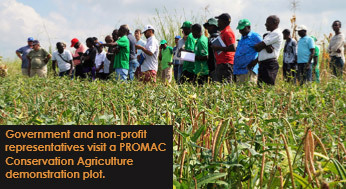 PROMAC’s 900 demonstration plots in rural communities around the country are tailored for smallholders and commercial farmers, depending on the local context. The project has also set up a plot at the Government Agricultural Technology Transfer Center showcasing the potential of CA using mechanization. 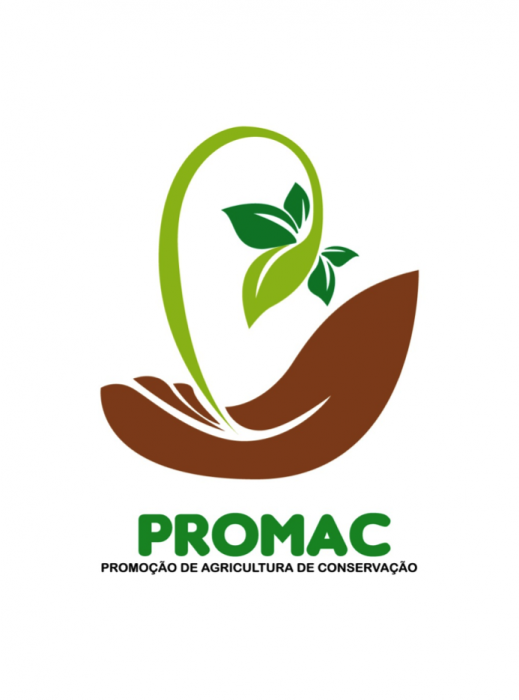 In addition, PROMAC also has a research plot at the Instituto Superior de Manica, where two students are doing research on the benefits of CA and testing various types of herbicide in order to identify the best one for the local agro-climatic conditions. “This experience can and should be replicated nationwide, and now that government leadership has seen how it is being done and what results we are getting, we are hopeful that there will be a stronger push to follow our example at the national level,” said Carolina Reynoso Pieters, NCBA CLUSA’s Country Director in Mozambique. The Governor of Manica Province echoed this sentiment, noting that it was important to marry CA approaches to the national strategy to increase production. On average, farmers using CA can produce at least 30 percent more in the same area. Increasing the government’s capacity to train CA through their extension network, investing in CA mechanization options for the commercial sector, and investing in youth engagement in agriculture through CA practices all support Mozambique’s national goals.